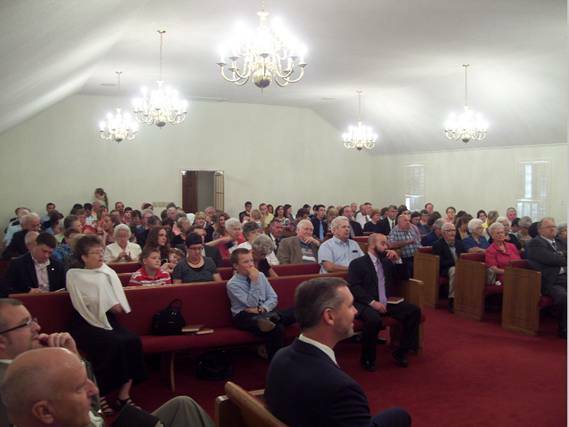 This past weekend (September 19-21), the churches of the Ebenezer Fellowship located in middle Georgia convened for the 200th session. 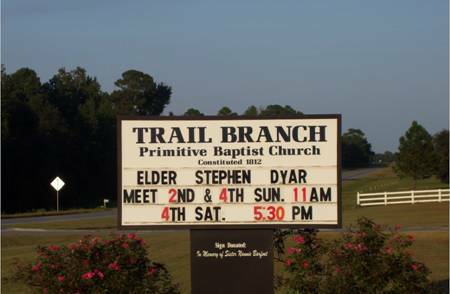 Trail Branch Church hosted the meeting, and this was the first time that Elder Stephen Dyar – their pastor – had the responsibility to moderate such a meeting. 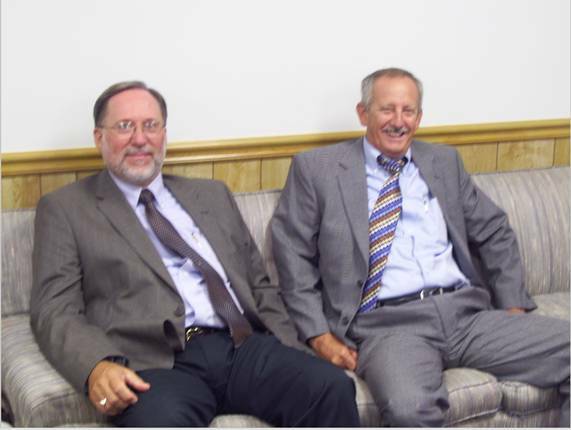 They were excellent hosts, and the Lord smiled upon Brother Stephen in his duties to not only make preaching arrangements that were heaven sent but also keep the meeting moving in a decent and orderly manner. 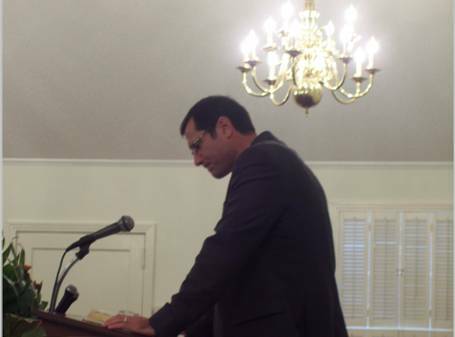 This session of the Ebenezer Fellowship was a special time during the preaching arrangements. 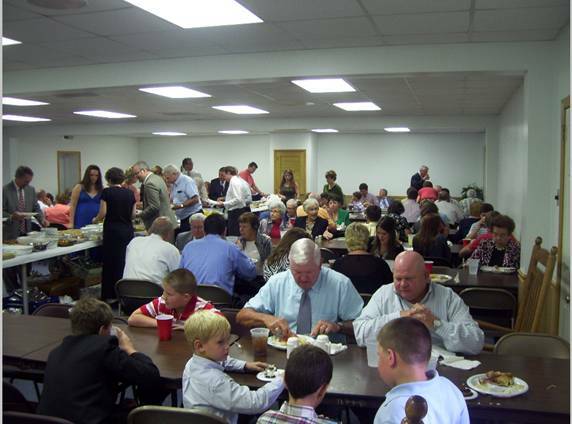 Many times in days gone by, the old fathers in the faith would refer to a set of preaching as “all of a unit.” Even that expression fails to capture the flow in which the sermons connected, tied in, and intermingled. 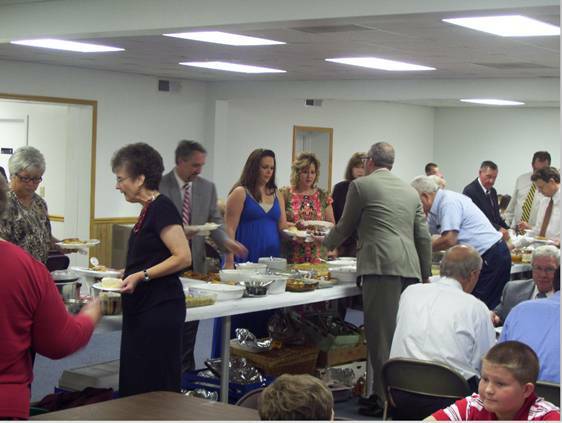 Some brethren arrived after certain sermons were preached, had no idea what had been spoken at services before their arrival, and when called upon would take their text right where the others had left off. On Saturday morning, it was really amazing beyond compare as a minister who had just arrived lit a preaching fire right where the Friday night services had concluded. 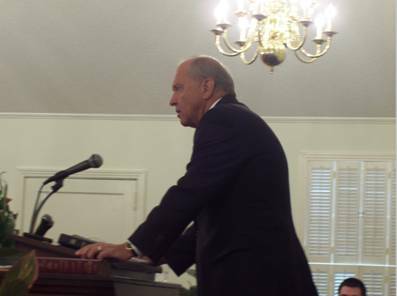 In amazement yet again, I looked at Elder Garry Hall and remarked, “He wasn’t even here last night.” His response, “It’s one sermon. It’s one sermon. It’s one sermon….” as his voice tailed away in awe. Beloved, that truly is the summation of the meeting – it was one sermon. We heard God’s love to us extolled beyond measure, coupled with the fervency of spirit to walk in appreciation of that love. We truly feel encouraged beyond measure that the Lord would not just come down and bestow mercy upon us, but that He has displayed merciful majesty beyond our expectations during this blessed weekend. He truly has done in this meeting exceeding abundantly above all that we could ask or think. 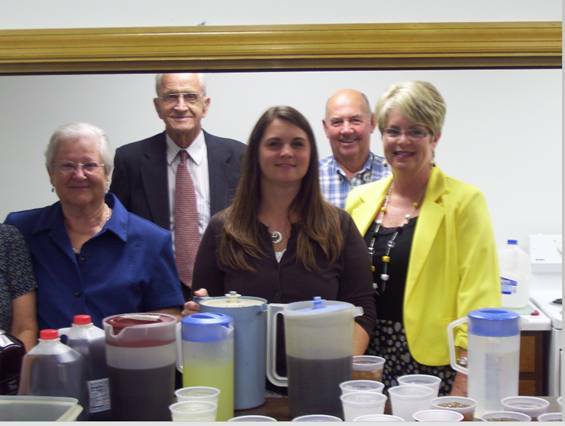 Continue to pray for our immediate area as several of our sister churches are still looking for a pastor. Pray that they would have the wisdom and patience to know who the right man will be. 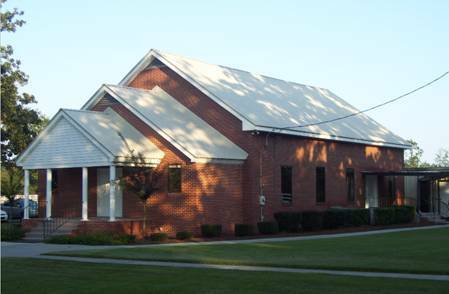 Next year’s session will be hosted by Oak Grove, which is one of our bodies without a pastor. 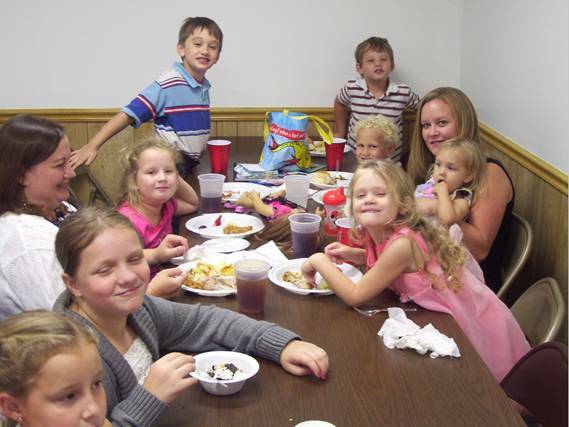 Pray that the same Lord would smile upon their efforts next year that has been so abundantly in our midst this year. 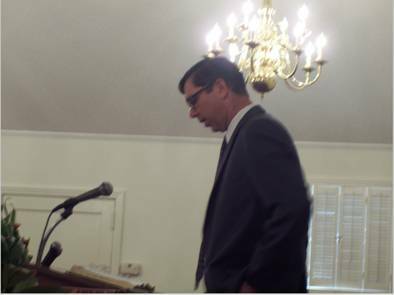 Preaching: Elder Charles Broadway (Monroe, NC) – II Corinthians 5:17-18, God reconciled the world unto Himself by the death of His Son. Preaching: Elder Ronald Lawrence (Goodlettsville, TN) – Hebrews 4:14-16, Christ is touched by us and thereby He touches us Himself. 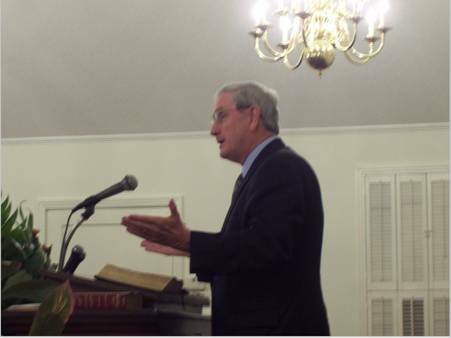 Preaching: Elder Jabin James (Fitzgerald, GA) – Psalm 138:6, God looketh upon the poor but putteth down the proud. 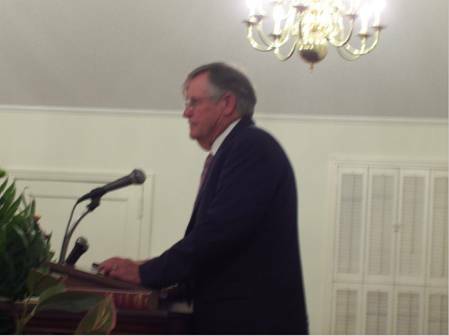 Preaching: Elder Ronnie Loudermilk (Lula, GA) – Psalm 3:1-3, God lifteth up the head of His people over sin, sorrow, death, and the world. 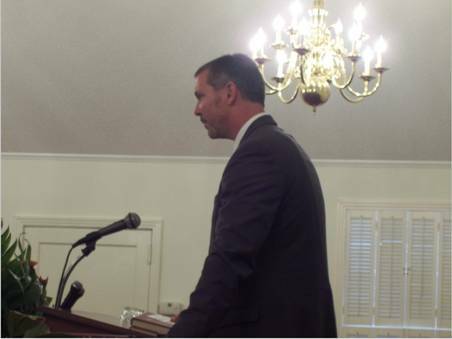 Preaching: Elder Chris Crouse (Plant City, FL) – Psalm 37:1-11, Do not fret over this world or the things in it, for God has blessed us above them all. 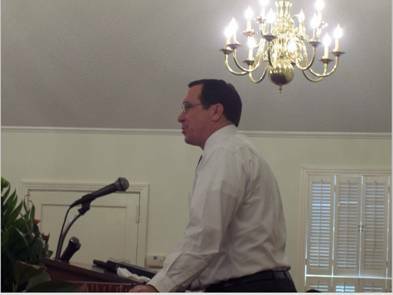 Preaching: Elder Craig Lanier (Metter, GA) – Luke 17:11-19, The cleansing of the 10 lepers and the one stranger that returned to thank the Lord. 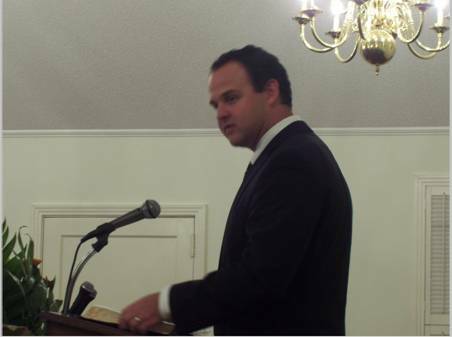 Preaching: Elder Michael Gowens (Mt. Juliet, TN) – Matthew 11:1-6, The forgotten beatitude of not being offended in Christ over His doctrine, loss of popularity, or the circumstances of life. 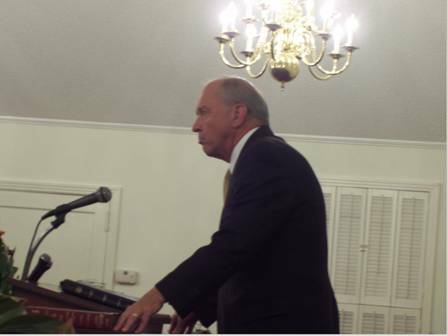 Preaching: Elder Jon Mizell (Cairo, GA) – Revelation 1:1-5, The majesty of Christ as seen by John unlike what had been seen to that point, and the glory of it for us today. 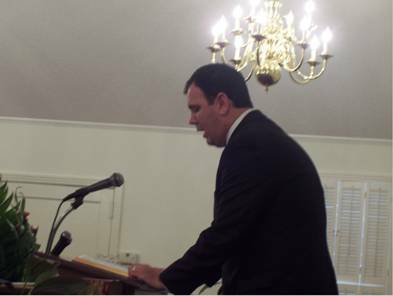 Preaching: Elder Sam Bryant (Hoover, AL) – Revelation 1:5, The blood of Christ washing us being the direct expression of God’s unfathomable love for His people. Preaching: Lic. 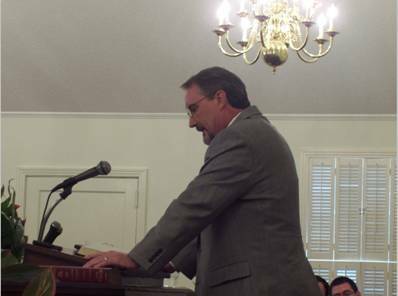 Ric Stewart (Statesboro, GA) – Romans 3-4, The 3 courtrooms of justification: 1. Grace and blood before God, 2. Faith before our conscience, and 3. Works before others. 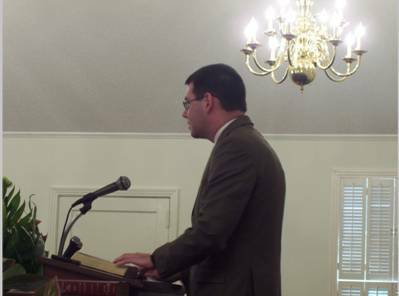 Preaching: Elder Dwayne Hooven (Augusta, GA) – II Corinthians 8:9, The grace of God through the love of Jesus Christ, looking at His poverty making us rich. Preaching: Elder Ronald Lawrence (Goodlettsville, TN) – Book of Luke, God opening and no man shutting and shutting with no man opening. 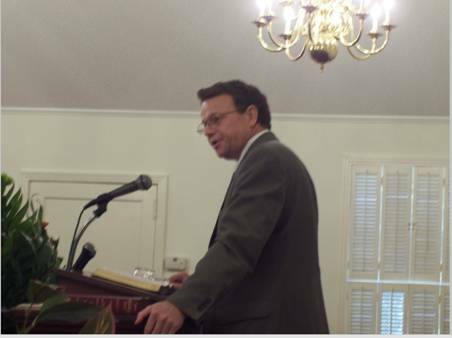 Watch for the sermons of the meeting to be posted on our website at coolspringspbc.org.